The fermentation takes place in stainless steel vats for the Village. The Grand Crus and part of the Premier Crus will age in oak barrels. The Domaine does not age in new oak barrels because new oak has a high level of tannin and other dominant flavours. Similarly, "double-pièces" are the barrels of choice. 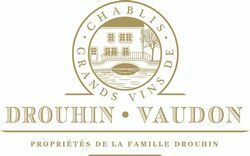 Their larger size gives a fresher flavor to the wine since contact with the wood is more subdued and will not interact negatively with the mineral and fresh character of Chablis. The aging lasts 7 to 8 months for the Village and Premier Crus, 10 to 12 months for the Grand Crus. This site makes use of Flash 8. To experience it the way we intended, you need Macromedia Flash Player 8, a plug-in for your Web Browser that can play the content we've created. To download and install it, click here.